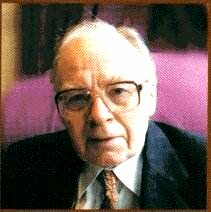 In a recent article I gave a brief overview of William Blezard�s life. Included in that discussion was a review of the composer�s orchestral music that is generally available on CD. All these works were packaged with a number of other pieces by a wide variety of British composers. 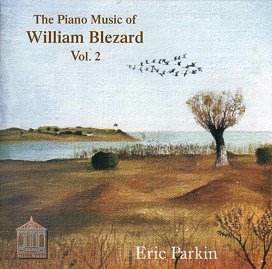 We are lucky, then, to have two CDs dedicated to Blezard�s piano music. The first was published in 1998 and the second has just been released (2005). Both recordings were made with the full support of the composer and are issued by Priory CDs and Shellwood Productions respectively. I wish to give a brief chronological description and discussion of these piano works to act as a kind of expanded �programme� notes. At the conclusion of the article I give a few comments on William Blezard�s piano music taken as a whole. Eric Parkin, the pianist on both of the CDs is a well known champion of English music. One need only think of his three disc set of the complete piano music of John Ireland or his exploration of the multi-faceted works by Billy Mayerl. Other recording projects have included music by the undervalued William Baines, by Arnold Bax and George Dyson. I have reviewed his performance of some piano works by Richard Stoker on this web page. "Apart from an early performance by me of the 1947 Piano Sonata at the Ben Uri Galleries [London Jewish Museum of Art, St John�s Wood] and a much later one of the Second Book of Preludes as the Music Information Centre, my piano music has gone largely unheard by the public. This is the first time any of it has been recorded. Do not expect too much profundity from the earliest two works that are available to listeners. The Two Aspects of Tango Rhythm was written over a number of years between 1931 and 1938. The composer would have been 11 years old when the first notes of the Spanish Tango (1931) were put onto the manuscript paper. It would be easy to try to read too much into those early effort � but suffice to say that it is a somewhat wistful little number that is perhaps a shade better than much music that was written for the gifted amateur at this time. There is a reflective quality that is quite unusual for a school boy. The second work, the Tango in D is a much more subtle piece. Imagine if you will, John Ireland in Buenos Aires and you have some idea of the sound world of this piece. The harmonies are a lot more sophisticated than the earlier Tango and reveal an understanding of the piano that would stay with him all his life. Of course the cynic would say that it was a �cocktail lounge� piece of its day � but I rate it higher than that. The Two Fantastic Dances are a little too short to be able draw too many conclusions � both of them being under a minute in length. There is a mix of styles in here that actually becomes quite effective. A certain Arabian exoticism tinged with Bartok creeps out of the second G minor dance whilst the first dance is rhythmically exciting and harmonically lends its ear to Stravinsky. They were both composed in 1938. The Variations on a Sea Shanty is the longest single work recorded on these two discs. And I must say that it is seriously impressive from start to finish. It has everything one could possibly imagine about a work with that title. Yet this is not �drawing room� music nor tunes to be played by �Grade 5� students. This is a full blown set of variations that requires all the resources of an extremely competent pianist. Parkin himself likens the scale of parts of this work to Cesar Franck�s Prelude, Chorale and Fugue. The work was written in 1939/40 at the beginning of the Second World War � presumably when the United Kingdom was suffering great losses to allied merchant shipping. The tune, of course is �What shall we do with the drunken sailor.� It is often hidden in the pianistic outworking and then suddenly become quite explicit. Some of the variations are aggressive and certainly angry �suggesting storms or violence on the high seas. Yet often calm descends on the evening scene. Perhaps the sailor has moved on from being �fighting drunk� to a more reflective mood? Perhaps he is thinking of his girl in Liverpool or Southampton? I think that what raises these Variations from a good work to a great one is the skill that Blezard has used in transforming and reworking the basic material. He has used a variety of pianistic styles -from John Ireland through English pastoralism to �Savoy Hotel lounge.� Dissonance is well used in conjunction with more conventional musical devices. Yet the styles never seem to clash or be out of balance. The theme and the variations are well unified in both the design and implementation. One of the techniques that Blezard apparently used is a variation within a variation. The closing pages are totally triumphant � the drunken sailor has sobered up and is now quite simply one of the Royal Navy�s finest. The Three European Dances (1942/1940/1944) are fun. Although there is a certain wistful air about all three pieces, the general mood is one of danceability! One of Bohemia�s national dance � as represented in the 19th century by the Strauss family leads the way. The attractive Polka is probably just about in the gift of a good amateur pianist. I do notice that in places there is a certain nautical feel to this number � I wonder if Blezard had not quite got the Sea Shanty Variations out of his system. The Sarabande is a bitter- sweet little mediation that would bring a tear to a glass eye. I would love to find the music for this piece so I could luxuriate in the soft Delian harmonies. This particular Tarantella, which was a folk dance from Naples, has a kind of �circus� feel to it. Perhaps we can almost see the lions and tigers and clowns marching into the big top. This is a manifestly difficult piece to get the fingers round � but is extremely effective in portraying the physical efforts of dancing to remove the spider�s poison from the body! The October Dance was composed in October 1960 after a seven or eight year break from composition. Of course Blezard was still musically active during this time � he was touring as an accompanist and working in the West-End as musical director. Yet this piece is a welcome return to the piano. It is very short but much is said in what is basically a small ternary composition. The piece opens with a little hesitant figure which could be said to be a little sad. However it is soon replaced by a roguish bit of figuration only to reappear and bring the work to a reflective close. October is one of those months when we look back to the happy warm days of summer and also wonder what the rigours of winter will bring. The Scherzino, published sometime in the 1960�s is a nippy little work. Quite a portion of it suggests Debussy (Arabesque No.1) to me, although whether this was the inspiration or not, I am not sure. Most of the work is quite light hearted, yet like much of Blezard's music seems to have a few introspective or even quite introverted moments. It is certainly one of the most satisfying and internally consistent pieces on these two CDs. Perhaps the true answer lies in the fact the �sonata form� does not lie at the heart of these works. However, musically they do not deserve to be sidelined as �simple� or �teaching material � they are neither. The First Sonatina was composed in the late nineteen sixties. It is quite easy to detect a �Les Six� influence in the brittle and neo-baroque �toccatina� like principal theme � including the slightly more romantic tune in the middle section. The �Espressivo� middle section is hardly profound. Yet it is in complete contrast to the first movement and once again explores Blezard�s more contemplative mood. It is certainly the heart of this work and deserves to be better regarded than hither too. The last movement is an �Allegro giocoso� and is certainly the most dissonant part of this sonatina- I even heard what seems to me to be a couple of note clusters. Yet even here approachable tunes tend to emerge as if from nowhere. My only criticism is perhaps that it is little stylistically unbalanced � but as for interest and excitement it is pretty good. The Five Preludes, Book One (1967/1968) are an attractive addition to English piano music literature. They were written in the late 1960�s at a time when much music was what might euphemistically be called experimental or progressive. Yet here we have five short piano works that are a perfect exposition of piano technique that is very much in succession of traditional writing for the instrument. There is nothing challenging about these pieces. Of course that is not to say they lack content � they sound extremely difficult technically and require a great technique to bring them off successfully. They are not teaching pieces. The first prelude is signed as being moderato, but actually is quite an intense work that seems to �push on� towards the conclusion. The piece rises to an intensity before gradually subsiding into a pensive close. The second prelude is a little toccata � mostly written for two parts that sound as if they will tie the fingers into knots! One of the features of this toccata is the wide spacing of the part � the entire compass of the piano is used. Rhythmically it is exciting and in places quite glitzy. The third prelude is a meditation: the composer requests that it is played �flessible e legatissimo.� Although this is the general mood there are a few brittle moments when the mood changes somewhat. However, the original music returns to bring the piece to a close with a �jazzy� cadence. The �Allegro vivace� moves along at a fair pace: every so often a more expansive tune tries to establish itself, but fails � it is always pushed well out of the way by complex finger work. The heart of the work perversely is in the last movement. This is an adagio but subtitled �postlude.� Once again this reveals the introspective side of Blezard�s art. Eric Parkin describes it as �deeply felt.� Nothing could be further away from some of the orchestral works reviewed in my previous article. The Three Dance Studies were composed over a three year period between 1966 and 1969. I suppose the first thing I would say is that there is something of Children�s Television about these pieces. It is easy to imagine them being used for some puppet show or cartoon escapades. Perhaps it is hardly surprising when one recalls that he served as an accompanist for Playschool! The first dance is an exercise in octaves. I must confess to finding octaves difficult to play. I recall a pianist telling me that you have to lock your hand into position and keep it that way � otherwise major 7th and minor 9ths ensue! And I have heard good pianists fall into that trap! But Parkin avoids this misdemeanour here! The music is actually quite jazzy without being jazz �perhaps puckish would be a better adjective. The second �study� is by far the longest and is also a lot more profound. The technical virtue here is the �trill.� Perhaps this piece is less related to cartoon �in fact I believe it could easily have a life of its own. 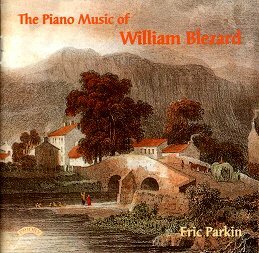 It is probably one of the best of Blezard�s pieces for piano. The mood is quite complex � trills do not necessarily suggest repose or reflection � yet some of this music is just that. There is a harsher and more dissonant middle section that sounds terrifying difficult to play. However the quieter music returns and all is well. The composer who sprang into mind on hearing this number was Kaikhosru Sorabji and I do not feel that is a bad comparison. The last study is based on cross rhythms, which is basically music that has, say two and three beats to the bar. Of course Blezard is much more subtle that this and I would need to peruse the score to say much more about his compositional process. However this dance moves along with quite a swing and once again could be the accompaniment to some TV adventure. Not the best of the series, perhaps � but probably the hardest to bring off successfully. The Suite Circle of Time (1975) is a meditation on the progress of the seasons. It is strange in that there are five sections � and there are only four seasons! The secret is the reprise of the New Year Carillon at the works conclusion. The Carillon opens the suite with its brittle, frosty bell figuration. It is definitely winter time-and a cold one at that. I remember walking along the Thames near Barnes one January morning and the frost had hit the riverside vegetation during the night. It was like fairyland. I wonder if Blezard had enjoyed a similar walk from his nearby home? The movement dedicated to spring is quicksilver � all over in 59 seconds. Yet a lot is said and the imagery of �small creatures that scuttle about� is well described. Summer Haze is a perfect little tone picture. Once again I wonder if it is based on his home territory. Perhaps it is somewhere in Richmond Park when he would have heard �all the live murmur of a summer�s day.� It is truly the heart of this delicious suite. Autumn Contrasts literally does that. The composer contrasts �vivace semiquaver triplets� with much softer more introverted material. Autumn is often a sad time of year. 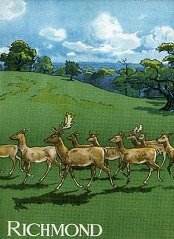 With leaves blowing in the wind, the trees becoming bare and the days �drawing in.� Fires burn and leaves are consumed. And finally winter returns � the New Year bells ring out the old and ring in the new. It ends with a perfect hush. This work for me is possibly the most moving of the Blezard opus that I have so far heard. Fast Forward was composed in 1979 and is quite difficult to define its form. Perhaps it would be best to describe it a being a little toccatina or maybe even nudging towards a �moto perpetuo.� But all classification is doomed to fail It is just a zippy little piece that would tire most pianists� fingers into knots. Perhaps the imagery derives from the eponymous button on the recently invented video recorder? 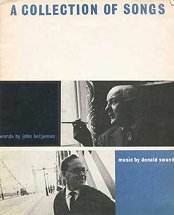 The Second Sonatina (1970s) was written for Donald Swann � one half of Flanders and Swann. Of course he was a composer in his own right and is perhaps best remembered today for the Hippopotamus Song. But let it not be forgotten that he composed many musicals and operas and contributions to Hoffnung�s Musical Festivals. As an aside, the one work that deserves to be recorded and made available is the Song Cycle �A Collection of Songs� on poems by John Betjeman. Blezard knew Swann well in his capacity as a musical director in fact he had met Swann through his wife-to-be, Joan Kemp Potter. And it was through him that Blezard was introduced to Joyce Grenfell with whom he was to have a successful working relationship as her accompanists. So it is fitting that this jazz-influenced work should be dedicated to his friend and colleague. The Second Sonatina opens with a lively first movement. This not jazz pastiche � but is actually a rather good fusion of styles. Nods in the direction of Billy Mayerl and Bartok are plentiful. The second movement is marked lirico and is actually extremely lyrical. It has an attractive melody supported by conventional but sometimes slightly acerbic chords. This is very much in the world of the cocktail lounge although perhaps the taste would be a little too bitter for the Ritz? There are touches of Ireland in some of the figuration and a little syncopation is never far away: it is a very beautiful movement. The �vigoroso� is a nod in the direction of Billy Mayerl and is almost pure �novelty� piano writing. In fact Blezard had to use conventional jazz notation in the score to get his point across. For the life of me I cannot see why this Sonatina is not in the repertoire. It would be a hit on classic FM and even Radio 3 listeners would be impressed at the subtle use of styles and moods. As an encore the last movement would be very popular. The last of the published Sonatinas (1994) is certainly the �lightest� of these three works. However that does not necessarily mean that it is lightweight. Once again Blezard makes use of jazz and the syncopated styles popular with pianist in the 1920�s. Yet in many ways this is a work for the 1990s � even if that relevance is the sense of it being a bit retro. The mood of the work is well summed up in the titles of the three movements � �Happily,� �Leisurely� and �Brightly.� There is nothing here to disturb the mind or spoil the reverie on a hot summer�s day. Those of us who know the landscape of the Barnes area can empathise with this imagery. There is of course the usual Blezard sense of nostalgia � perhaps for better days that once were. The slow movement is quite lovely with its stroll through a sunlit landscape. But it is the �Charleston� in the last movement that sets the seal on this work. One minute and 59 seconds of pure pleasure. The miniature �On Reflection� (c1997) was composed by William Blezard expressly for Eric Parkin�s recording session for the first of these discs. Parkin says that is was a lovely surprise and points out that it lies perfectly under his hand. Blezard had watched him play and had written a piece to suit! This is a lovely work written by a seventy seven year old man. Although in some ways valedictory, it has a confidence that carries it beyond the nostalgic. The Miscellany of Miniatures (2000) is exactly that. In an earlier period they would have been called �Album Leaves.� Most of them are quite short - the shortest being 22 seconds and the longest by far being the last at three and half minutes. The first �promenade� is less of a �promenade� than a �snooze� in a deckchair by the Thames on a hot summer�s day. The music is quite languorous and has a certain feel of Constant Lambert�s Rio Grande about it. And I cannot for the life of me see what is eccentric about it! The second promenade is another example of Blezard�s debt to Billy Mayerl. It is the sort of music that could accompany a comedy film. In fact I was immediately put in mind of a �Carry On� film. Happiness is not perhaps the best adjective but it is certainly not a sad piece. Rather it is almost lugubrious in its amusement. Yet both pieces are a lovely dedication to Eric Parkin and I can only hope that he regularly plays one or both of them at recitals. Central Park West is a genuine New York piece. Full of jazzy imagery it first saw light of day a part of the Manhattan Suite. This work was originally scored for four saxophones and piano and was based on a number of sights and sounds of New York. It is perhaps a desideratum to have the whole of this suite available to the listener -at least in its pianoforte guise. It is fair to say that could be defined as being jazz-impressionism. Not only does the music portray a convincing impression of Central Park, it also conveys something of the pizzazz of the Big Apple- although out the gates and down Seventh Avenue. I feel that perhaps it was written 'after dark' at a time when panhandler's and muggers had gone home to bed. Over-romanticized, perhaps but also powerfully evocative to those of us who know and love this wonderful open space. Jonathan's Scherzo is a short tribute to the choreographer Jonathan Howell. In the early �eighties he was working on an entertainment by Sheridan Morley called Noel and Gertie. This was based on the songs, letters, poem, diaries and films of Noel Coward. The rehearsals took place in Odstock Manor near Salisbury. The practice piano has a somewhat 'spiky' quality to it and Blezard's music apparently appealed to Morley - hence the dedication. I do not know if this work was written at the time of the London performances of this stage production, but if it was the 1983 performance it included starring roles for Susan Hampshire, Simon Cadell and Patricia Hodge. It was performed at the Comedy Theatre in the West End. Musically the Scherzo is a short but extremely effective toccata. From the first note to the last the energy is palpable. The date of the Sorority Samba is unknown. However it is a delightful piece that deftly captures the mood of the dance without falling into the trap of pastiche. Little is known about who it was written for and why. It is doubtful whether one could dance to it, but the mood is right. The two collections of the Jeux d�esprit are best considered together. We know the date of the second set � 2000/2002 but not for the first. Apparently a �jeu d�esprit means a witty writing or comment. And that is probably a very good description of these six miniatures. They are pure jazz pieces and are quite unashamedly derivative. Parkin notes that we can hear the piano imitating the double bass in the musical texture. The first number is �gaiement� and it certainly goes along at a fun pace. However the mood changes when the pianist has to play �Relaxant� � it is another one of Blezard�s languorous pieces. Not so much deck chair on Thames-side this time but perhaps steam boat on the Mississippi. The last movement of the first set is just plain �vif.� It just bounces along with typical jazz clichés until its rather abrupt ending. The second set opens with a �bounce tempo� number that is rather too short and certainly not sweet. This is a much simpler texture that the previous set and perhaps represents the composer writing in a more concise style. This �spareness� is evident in the �Allegretto moderato� which I think rather looses its way. However the �middle eight� has a bluesy feel that perhaps redeems the situation. I detect an allusion to the Addams� Family theme in here too! I wonder if it is just in my imagination. The last �witticism� is perhaps the best of the bunch. It is totally �in your face� and none the worse for that. It seems to sum up the �up tempo� side to Blezard�s compositional character. Blezard�s piano music seems to divides neatly into two strands � the jazz oriented works and a very �English� style that is neither pastoralism nor modernism. It would be invidious to suggest that his contribution to the pianist was essential or extremely important. There is nothing here that compares to John Ireland or even York Bowen. Blezard�s attempts at writing �novelty� pieces never really approaches the talent of Billy Mayerl or the American Zez Confrey. We do not find in these works any new approach to form, harmonies or pianism. The music is rarely profound and tends to be typically happy, if sometimes tinged with nostalgia. From the works that are presented on the two CDs we could easily form the impression that Blezard was a miniaturist. Many of these numbers last for just over a minute and rarely exceed five minutes. Of course I have not heard the Piano Sonata and do not know the scale of this work. However if we look at the positive side of Blezard�s piano works we soon find plenty to enjoy and impress. For a start he is very clever at using prevailing popular styles. His adventures with jazz are never pastiche. He does not try to copy any standards or pop songs. Invariably he moulds the jazz idiom to his own very personal use and never lets it take control of him. We have noted above that some of his music borders on the �novelty� as exemplified by Billy Mayerl � yet even here he manages to put his own stamp on the material and never slavishly follows where others lead. Blezard�s music does not really seem to develop over time. There seems to be no periods or styles that he has attached himself to and then moved on from. I am not aware that any of this music makes use of tone rows or set theory. However I did mention above the odd cluster or two! From this it follows that all of Blezard�s music is approachable and rarely calls for deep study to �get to the bottom of it.� There is nothing challenging or difficult or avant-garde about any of the tunes on these two CD. And that brings me to my last point. Most of Blezard�s music is in fact melodic and quite tuneful. His harmonies may be dissonant or consonant or bitter-sweet. But they are never excruciating. Blezard�s music is not simple, nor is it naïve or primitive. It is at bottom a subtle blend of popular, jazz and romanticism infused with the composer�s sense of humour and a certain nostalgia for a bygone era. His music is often quite impressionistic. His �Summer Haze� evokes and English July day by the riverside better than many so-called descriptive pieces of music I have heard. Some may regard this emotion as simplistic and not �classical� but I regard it as a sign of a good composer who excels at his craft and had something important and certainly very interesting to say.